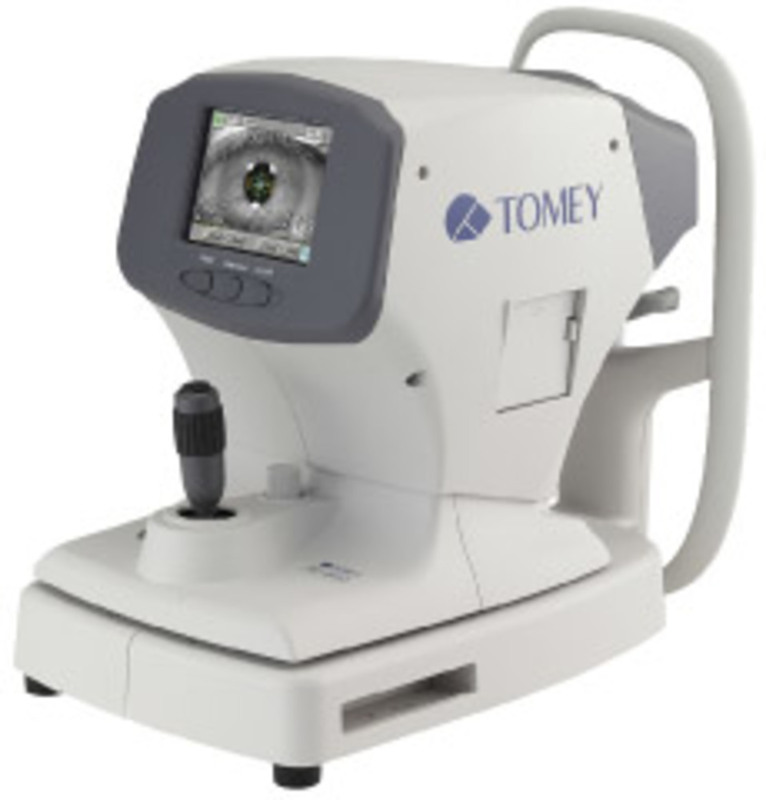 Highly accurate measurements combined with the very short examination time and easy handling makes working with the TOMEY RC-800 professional and quick. You can operate and align the RC-800 through the combination of joystick and touch screen – all this in a very short time. The 5.7“ colour touch screen is used as operating monitor as well as for displaying all measured values. All commands can be done via touch screen. Once you have captured your patients’ eye, you can set the pupil and cornea measurement bars to individual diameters. These values will also be stored, displayed and printed. The handling of the RC-800 is very easy. By aligning the optical head towards the patients’ eye, the measurement is automatically taken over by the instrument itself. The RC-800 provides you with the measured central (ø 3 mm) Keratometer readings within a second. You can take these readings from a cornea or the back surfaces of a RGP contact lens.